You already may know about how drones can give you bird’s eye views of many different locations, survey landscaping, and much more. This is something that is easy to learn, and see, but did you know that modern technologies can give inspectors even more tools for the process of focusing on various problems and issues associated with alternative energy? For instance, you’ll find that the modern drones today can help with thermal inspections through the use of cameras that can sense heat spots, and much more. They do not just take pictures of things, they can visualize where heat spots are, and these tools have been shown to be able to help inspectors stay safe, get information in real time, as well as help with focusing on the bigger picture of how to implement the right fixes overall. When investing in drones, inspectors can take advantage of flight with high definition photography. This can help with visualizing pipelines, towers, and energy turbines without having a pilot having to fly with a photographer. It also means that if there’s anything wrong, the drone can be managed to get close up, without causing any risk to inspectors. In the past, a broken edge, or high heat indexes, would mean that an inspector would be dispatched to the location and have to put on safety gear to just look at the problem. With drones, things can get a little easier, and thereby become safer overall. The big thing that you are going to find to be true about the latest solutions in terms of drones, is that they can look at thermal insulation and changes in the indexes as a result. Whether one needs to check on pipelines, or large scale machines, heat indexes cannot be captured by regular cameras. However, with the latest drones, a simple button press can show the heat index that is threatening breaking points, and areas that need to get fixed right away. This also helps with detecting toxic waste spills, as well as radiation spills and much more that can come through from alternative energy resources. 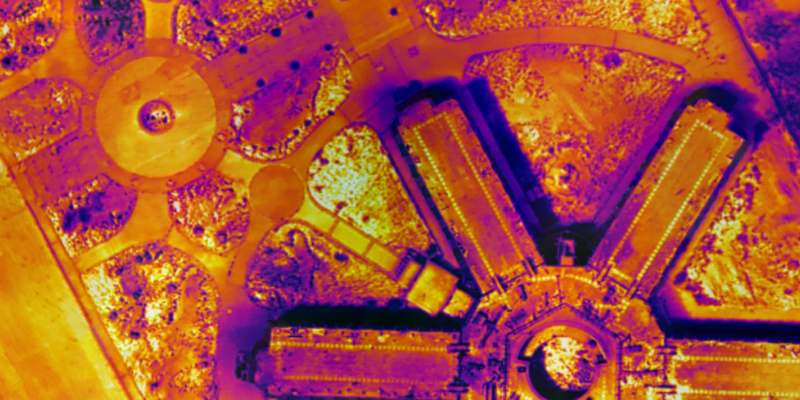 One of the great things that you are going to find to be true about drones for thermal inspections is that it’s easy to work through, therefore becoming faster. The efficiency that is found with these solutions allows for inspectors to cover more ground, find problem areas faster, and increase their overall fixes without having to spend more money. That means less time spent having to deal with hand-to-hand inspections, and more time spent fixing the problem areas, which is the ultimate goal to begin with. Overall, drones can do a lot of work for inspectors in the alternative energy market. They can help secure information that is hard to get otherwise, and can save money for a company that would otherwise have to hire pilots, buy flight equipment, and much more. This is a much more efficient, and complex solution that is going to work with relative ease.